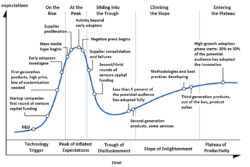 On February 2016 Louis de Bruin, IBM’s Blockchain Leader Benelux, mentioned that “The cryptocurrency has arrived relatively safe and sound on the Plateau of Productivity of the Gartner Hype Cycle.” Six months later, on August 3 2016 Mr. de Bruin will be delivering a presentation during Bitcoin Wednesday on the subject of The Blockchain in Practice. One of his many examples is a project that IBM is working on to register e-bikes with the blockchain for the RDW, the Rijksdienst wegverkeer. Make no mistake, that’s serious business in this country, and it’s very exciting to see these kinds of initiatives happen. B. The blockchain technology has reached a new level of adoption (and hype) based, for example, on increased interest from governments, banks and media. But saying that we’re even at 5% very likely underestimates its potential audience. It’s true that many of the world’s largest banks and governments are taking the technology seriously. Some of them are already working on pilot projects or actual marketable solutions. Others — let’s be honest here — are aggressively working to undermine the speed of decentralization, frankly just doing the job they are paid to do. And a third group are playing both sides at once; the financial sector calls that hedging. Big risks and disappointments are still definitely on the way. No market ever goes straight up or down in an unbroken line, especially those with so many obvious problems to solve: usability, scalability, centralization, governance, smart contracts, replay attacks, fair distribution of incentives, just to name a few. There are also far too many misconceptions, too much lack of cooperation and dishonesty for the sake of political convenience. These are the mistakes that we as ordinary citizens will be paying for over and over again. We discussed some of them during Bitcoin Wednesday’s 3rd Anniversary on 6 July 2016 when Nikolas Guggenberger, policy advisor to Jakob von Weizsäcker, the European Parliament’s rapporteur on virtual currencies and blockchain technology, spoke with us about European Parliament’s Resolution of 3 May 2016 and the European Commission’s proposed Anti-money Laundering Directive of 5 July 2016. To many in attendance that evening both proposals seemed to be misguided attempts to regulate something that the government fails to understand fully, a cornerstone technology with critical non-financial applications, one that definitely needs time and room to mature. With proposals such as these we run the risk of creating a deeper digital divide that could be harmful to our economy and employment opportunities for decades to come. The Netherlands has suffered from a leadership crisis in some areas for too long. I make this statement not so much to take a swipe at the people at the top who have already dared to take important risks and make the necessary mistakes that are part of the learning curve, but at all the rest of us for setting the bar so low. We know we’re capable of much more, so what’s holding us back? Keeping the risks and opportunities in perspective it’s great news that important players are also telling us now is the time to take action. By action of course they don’t mean just any action, but action with vision. 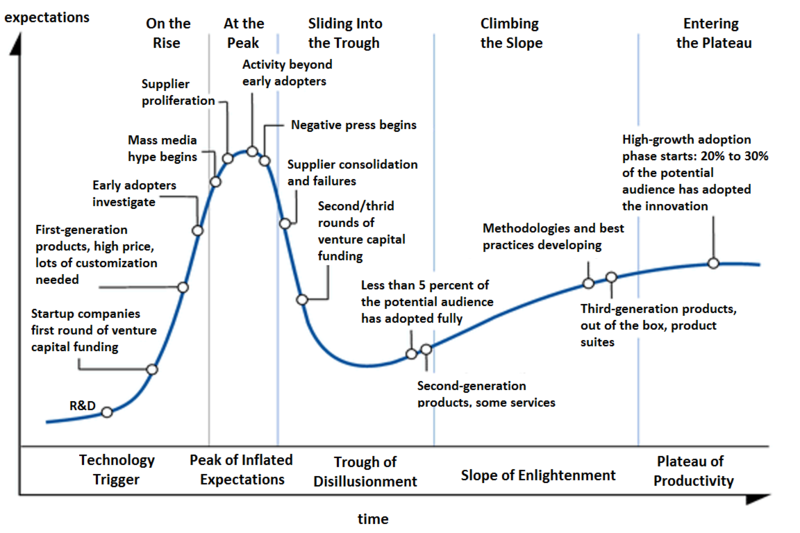 Wherever we are in Gartner’s Hype Cycle we know the blockchain is strategic, disruptive and an indelible part of our future. The Netherlands is the second country in the world to have Internet access and the second (after Chile) to adopt net neutrality. Obviously we’re not done yet. For a nation with a history of strength through consensus, the blockchain’s consensus technology is a field in which The Netherlands has the potential to be a global leader.